The dialogue between the government of General Raúl Castro and the top hierarchy of the Catholic Church continues to generate discussions between different opposition groups and the independent civil society sectors. It was expected that half a century of stagnation would bring, as its first consequence, the creaking of rusty hinges when trying to turn on any mechanism of this old obsolete machinery, as it also seems logical that, since it’s been going in reverse, now it’s really hard to move forward. It is not easy to search and find consensus in a country orphaned of civility and freedoms for such a long time. Most Cubans today have never participated in genuine elections, we have not been activists in a real political party, we have no unofficial places for public debate, we have no free access to information and communications, nor have we enjoyed any the benefits of democracy, but the worst part of all of that is that we haven’t been free. Just like fearful and ignorant slaves, there are those who would not even know what they would make of their lives when the day comes when they have the freedom to fully put their lives in order. That is Cuba’s sad reality, inherited in great measure from 50 years of dictatorship, but also because of 400 years of history that show what costly results triviality and irresponsibility can have on a country. The moment Cuba is living through has peculiar elements that mark a before and an after. Each analysis can take what it considers a landmark as a guideline, whether the accumulation of elements in the overall socioeconomic and political crisis, the struggle of dissent within the country, the death of Orlando Zapata Tamayo, the hunger and thirst strike of Guillermo Fariñas, the sustained and courageous action of the Ladies in White, and the increased activity of alternative journalism in all its forms, among other factors, and others that may be unintentionally omitted here. This “before and after” could assume any of these factors, seemingly isolated, as a reference point; however, the pulley that has come to unite some pieces and has helped initiate the rotation of the mechanism has been the Catholic Church. That is a fact. 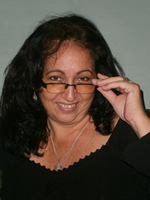 On the other hand, those who disqualify the Church as a mediator today seem to forget how, throughout all these years, even though most Cubans applauded (we applauded) in the presence of speeches and stages, while religious belief was an unforgivable taboo, while the religious of any tendency were excluded and condemned, and while all of society galloped towards the loss of moral and human values, the Catholic Church was a bastion of solidarity among Cubans of sincere faith, a space for the conservation of the best values, a veritable hive where the work in support of families, Cuban culture, and in upholding its principles under very adverse conditions never stopped. 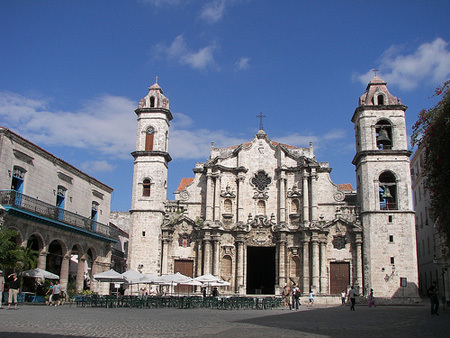 The Cuban Catholic Church was a hotbed of resistance against the communist totalitarianism of this dictatorship from the very beginning, before any of the opposition parties we know today, and it was tolerant and inclusive, while in Cuban society intolerance and exclusion were being imposed. Many parishes have been carrying the discourse of resistance that few dared to listen to, and much less to speak of, and they have established themselves as promoters of many areas of education, social and academic exchanges and of formation of values. The Catholic Church has been working quietly and patiently for the reconciliation of the Cuban people, while the regime -and others- have dedicated themselves to turn us one against the other. To deny this would be not only an injustice, but also a fallacy. It is clear that the Church is not a perfect institution and that it does not represent all of us in everything, it has also committed errors and even injustices, but it has also offered its space as a refuge amid the storms. If not, let the Ladies in White, who go to the church of Santa Rita every Sunday say it, let the Cubans who have found the support, charity and solidarity they were missing say it, let the thousands who are gathering spontaneously in the Churches in Cuba to receive, in her pilgrimage throughout the Island, the Patron Saint of Cuba, Our Lady of El Cobre, able to gather, because of their unique status as Cubans, believers and non-believers in the simple avocation of their love for Cuba say it. What other institution in this country would be capable of that? I’m not a believer in the least, I am barely an agnostic, forged in the strictest atheism, who has overcome the denial and pretends to be fair. In addition, since I wish the best for Cuba and Cubans, I support anything that helps to break down the wall. That’s why I ask those who now oppose the mediation of the Church (I speak of the institution, not its leaders) and who, in addition, accuse her of being “a traitor to the people,” “opportunistic” and other similar epithets, to mention the reasons and accusations to expose to public opinion objectively, who they consider to be the stakeholders they feel might be sufficiently consolidated in Cuba, with the prestige and permanence needed to represent a large portion of the Cuban population, what programs these actors are proposing for change and the phases for transition. Let those who oppose the Catholic Church-Government dialogue state if they believe that the people can delegate, right now, with full knowledge of cause, in any of the opposition parties and independent civil society groups beyond the sympathy that our struggle for democracy might stir. But above all, let’s be realistic: the Cuban crisis is not going to be resolved in the short term, a transition is a long and complex process to which actors are incorporated as they gain influence and prestige in national public life. Rather than struggle for a position or a prize, it’s time to take advantage of venues that are opening up, and to support actions that promote positive changes in order to be able to enhance the discourse of the current opinion leaders and the emergence of new ones, the birth of new ideas, civic forces and of comprehensive proposals in which we all may participate (including those who, until now, have not participated). Let nobody think that it will be easy, but let’s not make it any more difficult. This past August 24th, 2010, on his return from the Archdiocese of Havana, where he had been summoned, Juan Juan Almeida settled his hunger strike: his departure from Cuba was being discussed. He eventually left by way of Mexico on the afternoon of the following day (August 25th). This ends another one of the personal dramas that the absurd Cuban emigration procedures provoke, in which every Cuban must go through the odious and humiliating process of soliciting an exit permit from the authorities. This time, another Cuban who stands up for his rights just won over the opportunity to exercise them, I rejoice. Due to the extent and complexity of the subject, I would like to put aside, until another occasion, the proposal for a debate on the fickle and secretive institution that answers to the name “Directorate of Emigration and Foreign Affairs”, where certain uniformed officers –who misleadingly appear humanoid- dictate whether or not to authorize the release from this country-prison any ill-fated person who has committed the unlucky mistake of having been born into it. If the insect in question (a category that I state while taking into account what the circumstances suggest and not meaning to offend any of my countrymen who, like myself, are subject to the same disgraceful tourniquet), that is, if a Cuban who asks permission has the additional aggravating circumstance of belonging to the black list previously composed from on high, names and inventory numbers (i.e., Identity papers) those highly toxic individuals who are absolutely banned from leaving the country, must say goodbye even to the simple idea that there is a world beyond the geographical boundaries of Cuba, and can only hope for a miracle … or make the miracle happen. We all know that. For now, I will just refer to the comments that my post (Breaking the Stigma) from August 17th provoked and thank the readers who participated in it for their sincerity. At the suggestion of some readers, I have posted a picture of JJ during the strike, which I found on the Internet, you can appreciate the difference between the pictures when compared with the one I previously posted. I think that you and I have found in that debate -which was colored by the most diverse criteria around, contrasting and even sharply polarized- how much hatred has been sown among us in these 50 years of dictatorship and how much there is still left to argue and cast out of our souls so we can find reconciliation, the necessary foundation for the Cuba who so many of us dream of. I am also thankful that all points of views, whether in favor of solidarity with another Cuban, (not “somebody’s son”) as those who chose moral condemnation, helped me to hold on even with more conviction to the principle of harmony that eggs me on: every Cuban who peacefully defends his freedom and his rights against this regime may count on my respect, solidarity and sympathy, independent of his origin, creed and ideology. Nothing is going to make me seem like those who have sown intolerance and mistrust among us. For now, I will avoid the peculiar word “patriot” while I take back having used the term “idiots” if its use brings unnecessary trouble. Pretend I never wrote it, however, I will leave it in the original post to have it remain a witness, lest some suspicious person suggest that I cheat or that I delete my mistakes so I can deny them. Just know that I defend my stumbles as much as my successes: they make me more human. I don’t write to please, but it is not my intent to offend anyone. I congratulate Juan Juan right now for having achieved his goal (personal or otherwise) and I offer my best wishes to regain his health. In addition, to all my readers, including some that from time to time carry the suspicious aroma of a camouflaged troll: remain in the ring. Thank you. May the influenza not win over us! When I was young, there was a very popular children’s song that made reference to a sick donkey whose ills always had a solution. “My donkey, my donkey, has a headache: A doctor sends him a black cap…” we children sang in chorus, and the little tune went on, letting out in its stanzas each discomfort of the quadruped, until he would end up completely cured. I never thought I’d see the day when I would, sincerely and categorically, envy that donkey because, in spite of the difficult conditions that the Cuban reality imposes for our survival, everything is more or less “tolerable” until you find yourself forced to see a doctor. It is there that the true agony starts. But hers is just a minor case. When you go to a doctor’s office here, you discover horrifying cases. A lady I personally know went to a certain hospital with numbness in one arm and general malaise, including a headache, and, just like that, she was diagnosed with a stroke. Very alarmed, her family then went to another hospital, this time through a doctor friend of theirs, who was a friend of another doctor who had clout, etc. It was only then that, after rigorous tests, they arrived at the correct diagnosis: the old woman was incubating a virus, her immune system was compromised and –besides that- was rejecting the antihistamines she had been prescribed to treat her allergies, hence the numbness of the limbs. She improved within a few days. I recently heard of an extreme case about a man, also very old, in the terminal phase of lung cancer who was not being given oxygen “as to not to create dependency.” He died within a few days, which was inevitable, only that he was in terrible agony. I’m not allowed to cite this source either, but it is a real life case from my own municipality (Centro Habana). This very humble old man and his family didn’t have any “godfather” to go to. I could write whole pages with enough examples of this sort to crash this website. I know that many readers might also give examples of irresponsibility, poor attention, lack of resources and missed diagnoses that take place everywhere in the world, but here, they are becoming commonplace, and we don’t have the opportunity to make the slightest claim or to opt for “another service” because of the “egalitarian” and centralized character of the system. The truth is that, in Cuba, one can no longer be assured of receiving good medical care -except for few and honorable exceptions- if not with the corresponding “recommendation.” Almost always, if one sees a doctor through established channels, the doctors’ hands are tied and they cannot perform tests that are required for an exact diagnosis; in other instances they are able to diagnose, but it is possible that the medication needed is not found at the drug stores, or it is dispensed only in CUC, at prohibitive prices for the commonplace Cuban pocket. Because of so much confusion, many prefer not to see a doctor uselessly and try to “make do” with concoctions of traditional medicine and with prayers that aren’t always sufficiently effective, as may be understood. Such are our very expensive freebies. Just over 60 days ago Juan Juan Almeida started a hunger strike. His, in some ways, is the most solitary of strikes. It is true that many of us bloggers and his other friends have been aware of his condition and have followed the long-running saga of his pursuit of an exit permit to allow him to get treatment, not available in Cuba, for a severe health problem; it is also true that several digital sites have published his trials and tribulations (including his arrests) as he constantly pressures the authorities and demands his right to travel, to be reunited with his family, and to receive on-going treatment for his illness. But regardless, public opinion has not been sufficiently mobilized. Reflecting on the crossroads where Juan Juan finds himself, I think of how difficult it is in his case and the stigmas he is burdened with at a time when he so greatly needs to rally support. First, because his fight, placed within the contours of a personal drama, lacks the heroic elements traditional solidarity demands; his dispute, according to some of the more ignorant, is not for Cuba and Cubans, but only to resolve a personal problem. Why don’t we just describe his drama as that of any Cuban, and therefore, of all Cubans. Second, because the most well-known and far-reaching of the international media pay attention to someone whose huge mustache or quantity of body-piercings earn them a Guinness record, but not to the tragedy of a lonely man who launches a desperate appeal to defend the right to freely leave and enter one’s own country. Third, the greatest stigma, is because JJ – as many of us call him – is the son of the Commander of the Revolution Juan Almeida Bosque, which brings with it a strong prejudice: being one “of them” and having enjoyed benefits and privileges that the most of us do not, he “deserves what happens to him.” A pattern repeated over and over when I’ve expressed JJ’s dilemma among friends, as if being born to someone in particular entails a curse, as if to each of us our parents were not always loved and lovable, or as if the coincidence of not belonging, as a birthright, to the anointed grants us some certificate of moral purity, without “the children of so-and-so” hanging over our heads. For my part, I think it is precisely his origin that makes his struggle more difficult than mine. His rupture has been greater and the cost of his daring higher. From my vertical dissent I have not lost even one friend (in fact I have gained many new friends); I have had no ruptures nor family resentments, no one has separated me from my loved ones (neither living nor dead), nor have I suffered any rejection. This has not been true in his case. I prefer to see JJ in another way: not as the privileged person that he’s not, but as another of my companions along the way. I choose to strip the name and pedigree from this man and see the human being who lacks the same rights we all lack on this Island – and as even some do who are outside of it – including the greatest right which is Freedom. This is a sick man who, thanks to his many friends who love him (but no thanks to the Revolution which, for some reason, detests him… and that makes him good in my eyes), has the chance to improve his health outside of Cuba; but the government prevents him from traveling and condemns him to die. This is a man prevented from being reunited with his wife and daughter for having committed the incredible sin of writing a book where he says what he knows, what he believes and what he thinks about certain topics that discomfort the warrior oligarchy, the master of all our fates. I choose to stand by this human being in whom I recognize so many gestures of solidarity toward others and toward us, the disobedient ones, with whom he has cast his lot. 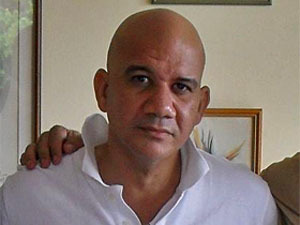 Since August 10, 2010, Juan Juan Almeida has been hospitalized in Havana. His health has deteriorated and his body has been debilitated by the long fast. His demand to leave Cuba has ceased to be an individual claim; and although JJ himself has no pretensions of leadership or of carrying the flag, today he claims a right for all Cubans. We must not leave him to do it alone. For a few moments, while looking in astonishment at my television screen, I assumed that some paramedics would show up and, straitjacket in hand, definitively remove the decrepit orator from the scene, as happened years ago with Habib Bourguiba in faraway Tunisia. It was Saturday, August 7, and I could not believe that Mr. F, in a public speech broadcast live and addressed to the full Cuban Parliament, unleashed the greatest avalanche of nonsense that has ever been spewed, with complete self-confidence and without a single one of those present daring even to cough. After half a century of an absurd and vivid unreality, I haven’t lost the ability to be amazed. I confess that, much to my regret, I felt badly, a kind of guilt by association simply from watching the magnified ridicule of others. I also imagined the discomfort of the most clearheaded of those spectators (deputies, they say) pretending to take seriously the embarrassing errors flowing from an already too deteriorated brain. But many of them were shameless enough to applaud, ask questions and even flatter the orator. It was the biggest farce I have ever seen. However, despite the exaggerated shows of submissive support (or perhaps because of them), never did F seem to me so lonely and helpless. Only in the opening minutes did the loquacious octogenarian manage to refer to “the Soviets” (who “are working” to avoid the nuclear conflagration that is coming) and the “Soviet Union” (which currently has serious problems with forest fires), with a present conviction as if twenty long years had not passed since the total collapse of that socialist monstrosity known as the USSR. The blunders of the old man followed one after another with complete impunity. Thus, F included new scientific evidence such as “Evolution began about 4,000 years ago…” or “18,000 years ago there was only fire on Earth…” and even some otherwise sage advice, “We already know that the sun will go out one day…” My anxiety grew as time passed and I started to bite my fingernails, but no paramedics appeared with a rescuing straitjacket. This time, definitely, it was not only F who was the victim of his proverbial arrogance… it was obvious that some elements of the higher-ups had a particular interest in publicly exposing this speaker’s remains. I couldn’t stand the pain and turned off my TV, convinced that this country is sick. Since then I’ve been overwhelmed by a strange feeling encompassing shame, helplessness and anger. For the first time I excuse (partly) F for what is happening now; he is nothing more than an old man who suffers from the mental incapacity to critically distinguish reality from his own delusions. Perhaps he no longer has the lucidity to pay for his numerous crimes. But that huge hall was packed with other culprits; there was the president of this country and the president of the parliament, there were the more than 300 deputies and guests of the occasion, a whole herd of rip-off artists who continue to thrive in the shadow of the benefits they receive for their symbolic jobs and for their merits as active participants in the collapse of Cuba, while society is increasingly submerged in the worst of its permanent crises. They are also responsible for what happens in the future. What interests are in motion through this lamentable theater and what perverse strategy is capable of supporting a farce like that orchestrated on Saturday the 7th, even at the risk of provoking greater instability than that in which we already live? Only THEY know, but I suspect that today we have more reasons for alarm than for laughter. If the factions vying for power in Cuba are divided between a deceitful and slow reformer and a deranged druid with messianic manias, we’re in real trouble. In the meantime, this Island has neither helmsman nor leader. How much would I have given that Saturday morning so that we Cubans, who do not have a real parliament, would at least have had some paramedics as timely and efficient as those in Tunisia! For some time I have wanted to pause to respond to some doubts from readers of this blog, a practice I would like to maintain but that I cannot exercise with the frequency I would like, due to my limited access to the internet. I am going to explain to you, because my readers deserve it, my general procedure for loading a post, making links, reading commentaries or answering correspondence, as well as my “political censorship.” Various opinions that could be confusing have come up and I like to clarify things. Some readers believe that the blocking of our pages is a myth. That’s all well and good but the sites Desde Cuba and Voces Cubanas, the oldest and largest platforms in the Island’s alternative blogosphere, respectively, are blocked from here by the government, so that it is not possible to access them from inside Cuba, except from a place that has direct access to the satellite, or by detouring through an anonymous proxy at a public internet site. I can access my site sporadically, when some friends and supporters offer me a time when the first option exists (direct link without passing through the Cuban filters), in which case I administer the page myself and try to load posts, revise the links, and respond to some messages; or the times when I would buy a card to connect from a public place (usually a hotel), when I might be able to read my page and the comments (through an anonymous proxy) but I can’t administer my blog. Whenever I go try to maximize the short time available, so I bring the already-edited articles on a flash memory and even some messages I have written to those who write me, and I also download the commentaries to read at leisure at home. This is a primitive process, which explains the slowness and the reason I can’t update my blog more often. Another option that I make use of is to appeal to a guardian angel who helps me: a Cuban who lives abroad and has the password to my blog and my complete trust. She has been a real support since shortly after the start of this blog and offers me more chances to get on with the work when I only have to use my email account to send posts and photos. At times, she herself looks for photos from the internet. This irreplaceable friend also “patrols” the site to remove the coarse and vulgar insults which at times – as some of the long-standing readers will recall – came to greatly contaminate the site, such that I asked her to do it. I’ve never removed someone’s comment simply because they don’t agree with me or for having a different political point of view. I don’t exclude even those who defend the system. That doesn’t seem democratic to me, truthful, nor do I believe it is healthy to censor anyone who maintains a respectful attitude. That would be inconsistent with the spirit of pluralism that I defend. If anyone of them (or others) has complaints about what they believe is the intentional omission of their opinions, they need to know that I don’t have enough connection time to devote myself to establishing filters nor have I ever revealed the identity (nor will I) of the commentators; for me that is strictly a question of ethics. I will ask my friend and “Cyber-Godmother” to review those details when she can, because she also has to work for a living and the hours she spends on this blog are taken from time she could be resting or spending with her family. I ask you, then, for your understanding and patience. Someone has criticized my lack of participation in the comments. This is a choice I made because, in my capacity as hostess, I prefer to give my opinions in the posts and leave space in the comments for the readers, without interfering in the debate, with the intention of not imposing my presence or abusing my privilege as the owner of the site. When I thought it opportune to emphasize a theme or refer to the comments (as in this case), I have chosen to post a separate text and explain my reasons, which is the way I have to speak with all of you at once, although at times for various reasons I have singled out some and sent direct messages to them via email. Finally, those who believe that perhaps I have other occupations, not just attending to this blog, are correct. I have a precious family to take care of (my number one priority), I work as an independent tourist guide to make some money from time to time, I read and research many things and am writing a novel for teenagers, an old project that I hope to complete in a year or a year and a half and that is more complicated than I thought it would be. My rare presence on-line however, is due to my lack of access. I greatly enjoy the time that I share with my readers; I hope the day will come in which a connection from my home is more than a dream. Thank you for coming to find me, for demanding more from me, and for your patience. In all of the overflowing liturgical calendar of the Cuban Revolution, for half a century the 26th of July has been the quintessential date. More important even than January 1 (the day of the triumph of Castro’s rebels and the establishment of a revolution doomed to failure), the commemoration of the assault on the Moncada barracks, despite the numerous deaths it caused in 1952, became a national holiday that at the stroke of a pen subordinated the importance of any of the Island’s other historical events, one attempted coup d’état within another: violence against violence, the force of arms, the civil war. With the passage of time, the central commemorative event of the date also became a “political prize,” with the site of the largest celebration awarded to the provincial capital deemed to be the “winner” of “socialist emulation” based on what exactly no one knows, or remembers, but nor is anyone interested because — as is well-known — it is a designation that in reality responds to the short-term interests of a government and not the supposed merits or achievements of this ill-fated system. This July 26, 2010, however, came with a marked difference, because this time it converged with a succession of events that altered the habitual monotony of the ritual. Santa Clara, the host city in which, as in the rest of the country, nothing is produced, was the scene, this time won not by the “sustained work and extraordinary economic and social achievements” of its population (as apathetic and hopeless as any other Cubans the length and breadth of the Island), but rather — paradoxically — by the prolonged hunger and thirst strike sustained by the dissident Guillermos Farina from his provincial hospital bed, to demand the release of the prisoners of the Black Spring. The formidable solidarity aroused by Farinas and the many comments circulating about the amazing accomplishment of this Cuban capable of sacrificing himself and putting his life at risk for the freedom of others, were sufficient grounds to bring an injection of official ideology to the city: The Central Event of the 26th was, therefore, a smokescreen to show that Santa Clara was not practically a kind of moral plaza besieged by the dissidence, but a bastion of faithful revolutionaries in the spirit of Moncada. This 26th was marked by the beginning of the release of the political prisoners of conscience; by the sensationalist public reappearance of Mr. F., that jealous starlet coming to steal the scene and trying, with exaggerated blush, to make up for a lack of freshness; by the publication of a series of predictions about an imminent nuclear holocaust; by the stubborn silence of General Raul Castro, broken only recently by his brief closing remarks on August 1 to the latest session of the National Assembly; by the replacement of another minister, this time in public health. All this could signify the same incapacity to remain in the position of “throwing in the towel” in the middle of the ring in which he sees himself battling the fighting the major competition of the moment: the top leadership. In short, this July 26 transpired as if there were two Cubas, or rather two governments in a single Cuba: one, phantasmagorical and hallucinatory, where an ancient specter announces the end of the world while placing offerings to the dead — who died at his own hand — and designating who will be saved from the coming holocaust (as happens, for example, with Pastors for Peace president Lucius Walker and his caravan); meanwhile another government, perhaps more mundane or closer to reality, negotiates secretly with Cuban and foreign institutions to free the prisoners, ignoring the ghostly apparitions of F and his supporting staff. In any event, this duality has only managed up to now to emphasize the impression of chaos. The presence of F interfering in the affairs of State which — if we stick to the letter of the law — should be the sole responsibility of the government and its institutions, is incoherent and harmful, now more than ever; it is, in fact, a complete aberration. Cuba urgently needs realistic definitions, not delusions, to address the most difficult situation in the last 50 years. The future of everyone depends on the intelligence and skill to address today’s issues, because we can clearly see that our real Holocaust is within us.